How experienced in yoga do I need to be to take the 200-hr YTT? I took the 200-hr training with another school. Can I do your advanced modules? Yes! All you need to do is take our bridge program beforehand. Our 100-hour Immersion is designed to give non-Blissology 200-Hour teacher trainees the basic foundations and principles upon which our advanced modules are built. But why take a Blissology training if you already have your 200-hr certificate? 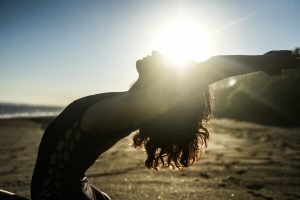 Blissology Yoga offers a unique and paradigm shifting system that makes yoga asana sustainable and therapeutic. This foundation allows you to teach yoga classes that are truly healing as well as revolutionize your own practice. As well, our approach to yoga classes that powerfully bind our hearts to nature and our community is what makes Blissology classes unique. On top of the incredible alignment, energetics and sequencing, we think this program will help you share the profound feeling of interconnection that is the foundation of Blissology Yoga. 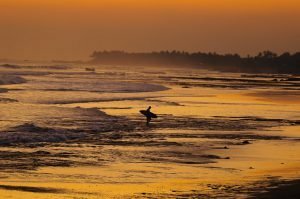 Will I be certified to teach after the 100-hr Immersion or the 200-hr training? If you take our 200-hr YTT, yes, you will be certified to teach. The 100-hr Immersion is the first half of the YTT and you would need to complete the full 200 hours to obtain your Yoga Alliance certification and teach. The 100-hr Immersion is ideal to deepen your yoga practice and dive into Blissology alignment principles. Students who cannot get the time off for the entire 200-hr YTT can also just do the 100-hr Immersion and can complete the 2nd half at any other location/time that we offer it. No problem! Our 200-hour training is ideal for those who want to delve deeper into the study of yoga, and to improve their own practice. It’s also great for students who simply want to have a transformational experience and to be a part of our thriving Yoga Community. How much yoga will we do during the 200-hr course? Some days will be more physical than others but expect to practice asana for at least one 3-hr session each day. You will be doing more asana on certain days, while on others it may vary, depending on the course material that needs to be covered. Eoin is very intuitive at gauging how the group is holding up. We hope that you respect your body/practice and take care to protect your joints from injury. We encourage taking rest when needed and growing past your edge with conscious effort when possible. Through this course you will gain knowledge and strength that will surely show through on the mat. I have an injury. Can I take the training? Can I take a training if I’m pregnant? I’ve already taken a 200-Hr YTT. Will your course count for my Yoga Alliance credit? If you have already taken a 200-Hr YTT and are certified with Yoga Alliance, then the 200-Hr YTT and/or 100-Hr Immersion or the advanced modules can count as Continuing Education credit as Eoin is a certified YACEP. 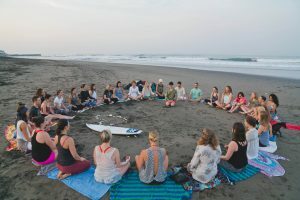 If you intend to pursue the 500-Hr Blissology Certification path, and you have taken your 200-Hr YTT with a different school, then the 100-Hr Immersion is required to dive into the unique Blissology alignment principles. Who can apply for the advanced modules? Yogis looking to deepen their practice who have taken Blissology 200-hour YTT or 100-hour Immersion. If you have taken your 200-hour YTT at another school, be prepared for crash course at the beginning of this training. What is the Blissology YTT Cancellation Policy? • Final Payments are due 60 days prior to the course commencement, unless you are on a pre-agreed upon payment plan. After this date, final payment for all new registrations is due immediately. • Up to 60 days before the course commencement a student may transfer to a course within 18 months of the original course’s start date. • Cancellation made within 30 days of course commencement; payment is completely non-refundable, enon-transferable. I cannot afford to pay the entire tuition cost at once. Is there a payment plan? How does it work? with any questions about these discounts or other questions regarding tuition pricing. If you are enrolling in one of the multiple trainings packages, we can discuss a payment plan. Please note that all payment plans require an admin/processing fee (4%) and you might lose the early bird discount if the plan is completed after the early bird deadline date. Email us to discuss which option is best for you.